In the spirit of International Women's Day, I wanted to pay homage to a group of women in the local culinary community that have blazed their own trail, and became successes in their respective lanes. Jodi along with her husband Darrin Swank, began a labor of love 15 years ago when they started Swank Farm. Today, their 20-acre swath of land stands as one of the original, area farms to provide specialty organic produce to a plethora local chefs and restaurants. "When we first started, we grew just three crops — lettuce, basil, and arugula," says Jodi. "Fifteen years later, and we've expanded that number to include more than 300 different types of produce, with multiple varieties of many of our most popular crops." In addition, the farm is in it’s fourth year of hosting their Swank Table dinner series, which has become one of the area’s premier dining events. From bussing tables to toiling away in the kitchens, Risa Lupardo has done it all. Risa is a mother of two young children, who has been making her bones in the restaurant industry since the age of 16. Over the years, Risa has risen through the ranks and currently she is an AGM for the critically acclaimed Buccan/Grato/Imoto Restaurant Group, helmed by 3-time James Beard nominee Chef Clay Conley. Make sure to go visit her at Grato and ask for the Carrot Cake Waffle! Founders Logan and Kimmie are women after my own heart. They took their love of bacon, twisted it into the shape of a rosebud, and voila… Bacon Boxes was born! The first bacon rose was created in 2015 as a birthday gift. After being delivered to a busy office, they experienced an unexpected upswell in demand for their bacon roses. Since then, their startup has continued to gain momentum, garnering press coverage nationwide. Bacon Boxes continues to innovate and has expanded their product line to include cookies, brownies, granola, and more! I crafted this dish In honor of the Chinese New Year. By chance, I happened to score some lamb ribs, which is a delicious cut of meat that I knew would stand up well to the strong Asian flavors I had planned to use. The outcome was better than I could have expected. If you can't find lamb ribs, pork ribs would do just fine. In a non-reactive bowl, combine hoisin sauce, sesame oil, soy sauce, brown sugar, chili paste, five spice powder, mustard powder, garlic, and ginger. Remove about a 1/4 cup of marinade, mix in the orange marmalade and refrigerate. Season racks with salt, pour over with marinade, cover and refrigerate overnight. Preheat oven to 300. Set the ribs on a foiled, racked baking sheet. Add about a half cup of water to the bottom of the pan and cover tightly with foil. Place in oven and roast for 2.5 - 3 hours, or until ribs are fork tender. Remove foil and brush the reserved glaze on both sides the ribs. Dash on some sesame seeds and broil on high for about 3 minutes on each side. Remove from the oven, let cool, and slice into individual servings. What if I told you that you’ve probably never had real, fresh wasabi before? I know, that you’re thinking. You’re saying to yourself that you’ve eaten it alongside your sushi countless times. Here’s the kicker… that green stuff commonly served with your sushi combo more than likely isn’t wasabi… it’s grated horseradish doctored with green food dye. Crazy huh! I was recently introduced to the genuine article, and I was blown away. Compared to it’s imposter, fresh wasabi (not that powder or tube paste stuff) is much more vegetal, and complex in flavor. And that HEAT though! Wasabi is not just for sushi or sashimi. It’s a tremendous flavor enhancer and pairs great with steak, oysters, sauces, mashed potatoes, sauces, and salad dressings. It’s a difficult plant to cultivate, so there aren’t many places that offer it for sale commercially outside of Japan. Lucky for me, a chef friend of mine turned me onto Frog Eyes Farm. Based in Oregon, they are one of the only commercial wasabi growers in the United States. LIke a kid at Christmas, I waited anxiously for my package from Frog Eyes to arrive so I could get cooking. For this recipe, I wanted to showcase wasabi in a way not normally seen. No fish in sight! Grate 2 tbsp. peeled fresh wasabi and set aside covered for 5-10 minutes in order for it's flavors to develop. Mix together with 4 tbsp. softened butter. Season to taste with salt. Put the potatoes into a large pot, add the bay leaf, 2 tbsp. of salt, and cover with cold water. Bring to a boil over medium-high heat and cook until the potatoes are tender, about 20 minutes. Drain the spuds well and remove the bay leaf. Meanwhile, heat the cream and butter in a small saucepan. Put the potatoes through a ricer or work through gently with a masher. Add the hot cream and season with salt and pepper. Add wasabi, creme fraiche, and mix together with a spatula. Top with fried green onions if you’re feeling fancy. First let’s whip up this marinade. Combine the mirin, soy sauce, chicken broth, ginger, garlic, chili pepper flakes, mustard powder, sesame oil, and garlic in a small saucepan. Bring to a boil and simmer for 1 minute. Pour the marinade into a shallow dish large enough to hold the meat and set aside to cool. Add the beef to the cooled marinade, stir to evenly coat, and refrigerate for at least 1 hour. For best results I would say marinate for at least 4 hours. When ready to cook, remove steak from marinade, pat dry, and leave at room temperature for 30 minutes. Preheat oven to 400°. Melt 2 tbsp. butter with 1 tbsp. canola oil in a large heavy skillet over medium-high heat. Reduce heat to medium and add steak to skillet. Cook until seared and golden brown on all sides (including edges), 2–3 minutes per side. Transfer skillet with steak to the oven. Roast steaks in oven, turning halfway through cooking, until an instant-read thermometer inserted into steak registers 125° for medium-rare, about 20 minutes, or to desired doneness. Plate up and top with a dollop of wasabi butter. Enjoy! I was reminiscing about a trip to Hawaii a few years back, and aside from the hanging at North Shore and hiking up the side of an active volcano, this dish burns in my memory. Chicken katsu is a dish with Japanese roots, which consists of a thin, deep fried, panko-breaded chicken cutlet served over rice and served with tonkatsu sauce. What is tonkatsu sauce you ask? Think of it as a thicker, sweeter version of Worcestershire sauce. Sounds bomb right?! As I’m sure you’ve noticed by now, I love to put my own swerve on traditional recipes so for this version, I opted to go for a curry sauce. Believe me when I tell you, you’ll want to make this plate of goodness yourself. First things first let's conjure up the sauce: On medium heat, drizzle some oil in saucepan, add the onion, cook for 6-8 minutes. At this point add in the garlic and ginger; cook for an additional 2–4 minutes. Next, add the curry powder, turmeric, chili powder, tomato paste, and and give a good stir so everything gets well incorporated. Pour in the chicken stock, and bring to a nice simmer. Cook for 8-10 minutes and then add rice wine vinegar, honey, hot sauce, rice flour, and soy sauce. Cook for another 5 minutes until the sauce has thickened up, then use a stick blender to smooth out the sauce. Now for the chicken. Heat up some oil in a large frying pan over a medium-high heat. Whisk together the eggs, a couple dashes of soy sauce, and ginger bitters in a dish. In another dish, add the all purpose flour and season with kosher salt and fresh ground black pepper. In another dish add the panko breadcrumbs. Assembly line time. Dip each breast in the seasoned flour, then in the egg mixture, and finally the panko breadcrumbs. Fry up the chicken breasts in the oil for 6–7 minutes until golden brown and cooked all the way through. Once finished, transfer to a plate lined with paper towels to drain. Slice the chicken lengthwise and serve with the cooked sushi rice, green onions and a hefty serving of curry sauce. I decided to get a little experimental with my pancakes this go round. Results… not too shabby! Check out this really simple recipe to give your tired pancakes a flavor makeover, and just for kicks add a fried egg and pancetta and take it up a notch. Sauté 2 tbsp. butter and lavender flowers over medium low heat until fragrant, about 5 minutes. Strain melted butter into small bowl and set aside. Discard lavender. 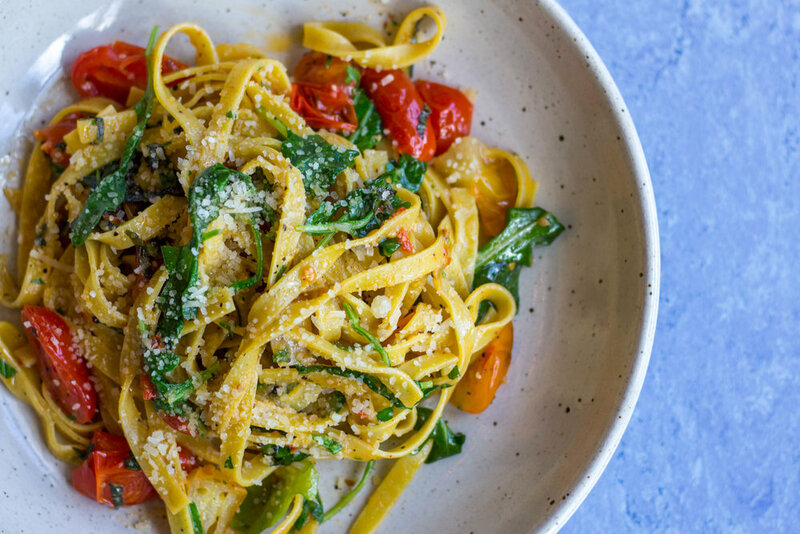 In a large bowl whisk together egg yolks, and ricotta cheese. Mix together flour, baking powder, baking soda, and Kosher salt in a separate bowl. Combine flour mixture, yolk mixture and stir in buttermilk and lavender infused butter. Using an electric mixer, beat whites in another separate bowl until fluffy peaks appear, and fold them into the batter. Now for the cooking part. Heat a large skillet over medium heat, and add a pat of butter. Working in batches, spoon a small ladle of batter into the skillet for each pancake. Cook until golden brown, about 3 minutes per side. Serve with maple syrup. The task of making the perfect scrambled egg is my holy grail, my El Dorado, my Sasquatch. So simple you would think yet so elusive, but one day recently fate smiled on me… I finally cracked the code! The “Perfect 10” scramble is like a Picasso on the plate, and in your mouth. Supple, yellowish-white pillowy curds, perfectly seasoned goodness. My version of the “Perfect 10” benefits from the addition of caramelized onions (recipe below) and some amazeballs Cabot Clothbound cheddar, but honestly it could totally stand up on it’s own. The differentiating factor who it comes to leveled up scrambled eggs all boils down to technique, time, and patience. If you haven’t had the pleasure of experiencing eggs of this caliber, your world is about to be rocked. Now go grab a pair of chopsticks, yes chopsticks, and get to cooking! Let eggs stand out of the fridge for 20 minutes before cooking. Crack eggs into a mediumnon-stick saucepan, add butter, cheese, and cream. Position pan over medium-low heat, and using your trusty chopsticks, begin mixing the eggs. Now here’s the important part. Make sure to stir the eggs constantly, shuffling the pan off and on the heat to ensure that the eggs don’t cook too quickly. What you’re looking for are those beautiful small curds to start appearing. Once the eggs are at a pudding-like consistency, you’ve done your job. Move to a serving plate, add salt and pepper to taste. Finish with caramelized onions and fresh herbs. When it comes to making caramelized onions, minimum effort gets you maximum results in the flavor department. Super easy to make, these babies are awesome, and can help elevate pretty much any dish including… eggs of course! In a large saucepan, heat oil and butter over medium-low heat. Add onions and cook, stirring occasionally, until onions begin to reduce and soften, about 10 minutes. Throw in thyme and garlic, and continue to stir. Continue to cook, stirring occasionally, until onions begin to stick to bottom of pot, about 20 minutes, and scrape up any browned bits from bottom or sides of pan. And don’t worry, those brown bits of magic are good! We want those. Add ¼ cup wine and cook, stirring continuously, until wine is evaporated and onions begin to stick to bottom of pot again. Repeat this step with the remaining wine and continue to cook down the onions until they are very soft and deep golden brown. Remove from heat and season with salt and pepper to taste. Antique Row on Dixie Highway has become the haven for some of West Palm’s best new eateries. With a newly painted mural emblazoned on the front of the building, chef & restaurateur Clay Conley has officially marked his territory on the strip with his latest gem, Grato. With it’s swanky bar scene and urban chic dining room, Grato caters to a wildly diverse crowd of business professionals, gastro-Millennials, and neighborhood families. Serving lunch, dinner, and a mean Sunday brunch, Grato covers all it’s bases in the food department with scrumptious antipasti (Roasted Cauliflower, Steak Tartare Crostini, Arugula & Fennel Salad), handmade pastas (Tagliatelle Agilo y Olio, Squid Ink Pasta & Clams, Bucatini Carbonara) , brick oven pizzas (BBQ Pork, Mushroom, Hawaiian) and wood-grilled mains (Wood Grilled Local Fish Sandwich, Herb Marinated Rotisserie Chicken). Also, assuming libations are your thing, make sure to treat yourself to a frozen Moscow Mule. You’ll be thanking me later. Beer & Cheese?! Yeah I Said It! If you haven't experienced a beer and cheese pairing, take if from me that you actually haven’t lived yet. Unlike wine and cheese pairings, which in my opinion are pretty pedestrian in comparison, beer and cheese offers a much more fun and flavorful experience. This domestic cheese is a truly one of a kind. Self proclaimed “super hippie” cheesemaker Mary Keehn dreamed up Humboldt Fog on a flight home from France. It is inspired by both the traditional ash-ripened goat cheese of the Loire Valley as well as the fog line that rolls over the coast in Humboldt County. Incredibly textured, lemony tang, and an aesthetically beautiful cheese to look at! Deliciously light and citrusy, a delicate beer pairing for the tangy Humboldt Fog. They harmonize on your tongue for a really bright pairing, perfect for summer. An old school French classic. Pierre Robert is a triple crème brie-style cheese, where they make the brie and then add back in additional crème to bring the butterfat content to 75%. Buttery and usually mild when young, however the batch we ended up using brought a George Clinton level of funk! Intense, complex flavors with a texture reminiscent of ice cream. Really easy drinking clean lager from local Due South. The light mouthfeel refreshes your palate from the super decadent Pierre Robert. The slight malty sweetness in beer helps balance the intense flavors of the cheese. Jasper Hill Harbison is a soft-ripened cheese, which is wrapped in spruce. Based on a French classic called Vacherin Mont D’Or. Creamy, buttery, herbaceous, and funky. Tastes like the forest! Lots of carbonation in the Saison helps to refresh the palate from the luxurious Harbison. The hoppy character goes well with the vegetal, and woody flavors of the cheese. This is Gruyere’s French cousin. Strong flavor, nutty and slightly sweet. Of all the name protected cheeses in France, Comte has the largest annual production. It is strictly regulated and protected for quality. One of the 6 breweries in Munich, Germany allowed to produce a true “Oktoberfest” beer. Malty, amber lager with a clean finish. Cabot and Jasper Hill collaborate on this approachable version of the classic English clothbound cheddar. Bright, nutty, savory, and also a caramel sweetness. Cabot makes cheese from milk of a single family owned farmed and then it is aged in the state of the art cave facility by the Cellars at Jasper Hill. Aged 9-14 months. Aged cheddars have a pretty strong and distinct sharpness so you need a beer that can keep up. IPA and cheddar is a match made in heaven. The malt in the beer works great with the caramelized flavors in the cheese, and the hop bitterness balances out the acidity of the cheddar. Produced by London’s first organic market. Stilton is Britain’s only name protected cheese. An almost fudgy texture, spiked with balanced blue veins. One of the oldest independent breweries in Britain. Stilton and stout is about as British as you can get. So rich and chocolatey without being too sweet, it perfectly balances and compliments the saltiness and the intensity of this blue cheese. The soundtrack to my early partying days. I didn't make the tour but this playlist is a good substitute. Link below! At the urging of some trusted friends, I recently made the trek north to Palm Beach Gardens to visit Christopher’s Kitchen. Admittedly I don’t make it up to that part of town very often, but the trip was well worth it. Simply put, Christopher’s Kitchen is organic, plant based food done to perfection. Chef Christopher Slawson, widely known as one the the most heralded organic, plant-based chefs in America, is the mastermind behind this inventive and delectable menu. Christopher takes a passionate, thoughtful approach to cooking. Employing jedi-esque technique and fresh, quality ingredients in order to max out on flavor, while at the same time achieving real nutritional value which each and every dish. The restaurant has a plethora ofdelicious raw food options (aged cashew cheese plate, CK tacos, avocado ginger roll), but does offer some insane cooked plates (roasted Mexican potatoes, sautéed mushroom tacos, white truffle mushroom pizza) as well. Christopher’s Kitchen isn’t just a restaurant, it’s an organic lifestyle one stop shop offering up cold pressed juices (cleanses too), elixirs, nut milks, cold brew coffee, smoothies, desserts, and specialty retail goods. Recently taking over the space vacated by Brewzzi in City Place, City Tap House sweeps in like a breath of fresh air. With it’s reclaimed barnwood interior, copper topped bar and amber mood lighting, City Tap exudes an upscale Prohibition Era type ambiance, with a little Cheers mixed in for good measure. It also features on outside bar, with HD big screen TV’s inside and out, making it the perfect watering hole for football season right around the corner. As it’s name suggests, City Tap House boasts a healthy selection of exclusive craft beers, over 60 local and global varieties. The menu consists of a variety of tantalizingly elevated pub grub fare. An eclectic mashup of small plates (Berkshire Pork Arancini), wood fired pizzas (Sausage & Mushroom), big plate entrees (Duck Rice Hot Pot), and nightly dinner specials (Chicken & Waffles on Tuesdays and Crispy Suckling Pig on Wednesdays). In addition, they are now also open for “Brunch On Tap” every Saturday and Sunday which features a Create-Your-Own Bloody Mary and Mimosa Bar, which is never bad thing. One final note, City Tap House is having their official brunch launch on September, 10th so mark your calendar folks! Roasted tomatoes are always very necessary. They’re a cinch to make, store well, and go good on or with practically anything. Whether it’s on top a fried egg, in a salad, on a sandwich, or with pasta, roasted tomatoes will take a basic plate and make it “alright! alright! alright!”. The dish pictured is a breadless BLT with avocado, and herbed Vegenaise. Preheat oven to 375. Wash, pat dry, and cut tomatoes lengthwise. Use a small spoon to gently scoop out the seeds. Add tomatoes to a mixing bowl, along with the garlic, olive oil, thyme, and oregano. Add a dash of sherry vinegar and gently mix everything together. Line a baking sheet with wax paper and position the tomatoes on it, cut side up. Roast for 40 minutes, then crank up the temp to 400 and roast for another 15 minutes. Shut off oven, and let tomatoes sit in there for another 5 minutes or so. At that point, remove from the oven, season with a dash of salt + pepper, and let cool. “From top scholar to blue collar. Food for all walks of life”. Coined by owner Mike Moir, this slogan embodies the spirit of Leftover’s Cafe. 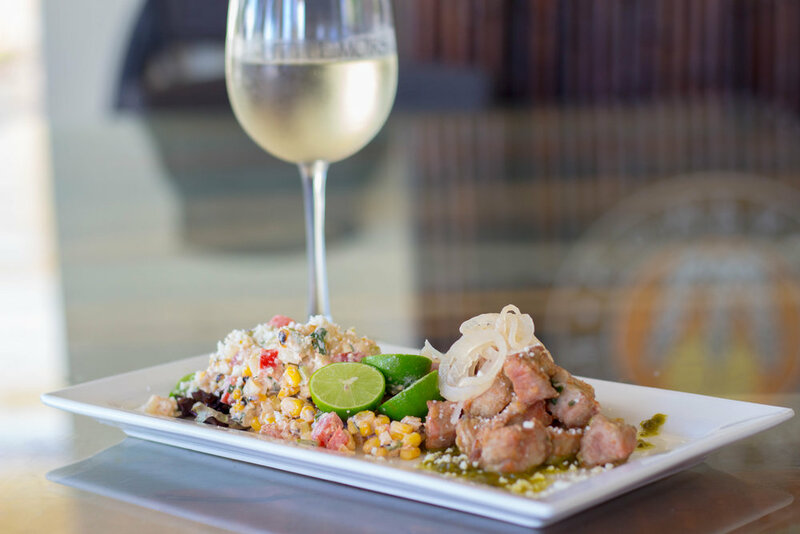 Elevated, yet approachable cuisine made with fresh, locally sourced ingredients. And when I say fresh, I mean fresh! Little Moir’s wholesale fish license allows them to purchase fish straight off the boat, in addition to having access to some of the best distributors and ports in the state. Since 2008, Leftover’s Cafe has established itself as a favorite among locals, and critics alike. It’s been voted the #1 seafood restaurant in Palm Beach County by numerous publications. Head chefs Drew Shimkus and Arturo Serrano’s signature dishes like their Tuna Basil Roll, Sweet Potato Crusted Fish, and Indorini Panko Fried Oysters, keeps the faithful coming back again and again. The charm of Leftover’s Cafe doesn’t stop with the food. It’s laid back, funkdafied atmosphere, coupled with live music provided nightly by local bands lends even more appeal. This spot is all about good vibes, and if you know anything about me, you know I’m all about the vibes. Walking into this casual industrial-chic eatery, you know within seconds what Aioli, it’s owner chef Michael Hackman, and his wife Melanie who works alongside him, are all about. Upon entering, you are greeted by the message inscribed on a large distressed wood framed chalkboard, “Locally owned restaurants return a total of 79% of their revenue to the local economy, compared to just 30% for chain restaurants”. Aioli fully embodies the concept of “locavorism”, a steadfast commitment to the surrounding community. Chef Michael is local institution, who has spent the last 14 years honing his skills, working his way around some of the city’s best restaurants. With firmly planted roots in French/European cooking, Michael’s menu is studded with a bevy of savory, mouthwatering sandwiches, soups, salads, and side plates. Aioli caters to a loyal, and robust lunch crowd, but also offers some great breakfast, and juice bar options as well. Aioli is everything you want in a local restaurant, and definitely worth the trip to see what all the buzz is about. It’s the weekend and I was in a soupy mood so I tweaked a recipe my sister had for this simple, yet deliciously satisfying bowl of healthy vibes. In a medium stock pot add water, broccoli, carrots, spinach/arugula mix, garlic, onions, bouillon and bring to a boil. Reduce heat to medium and let simmer for 10 minutes, or until contents are just cooked through. Pour everything from the pot into a blender and blend until the soup has achieved a smooth consistency. Move to a serving bowl, stir in olive oil, and season with salt and pepper to taste. Once ready to serve, ladle into a bowl and top with goat cheese cheese, bacon, and a dash of sherry vinegar. Al·che·my \ˈal-kə-mē\ - a power or process that changes or transforms something in a mysterious or impressive way. Nestled in the heart of downtown West Palm Beach on historic Clematis Street, The Alchemist Gastropub & Bar defies convention. With its' dark wood floors, antique candle holders, and coffin bar tables, the space gives off a sophisticatedly gothic vibe that would make Tim Burton proud. The distinctive bar menu, curated by bar captain Scott Hart features craft beers and exquisite cocktails showcasing unique ingredients like cherrywood smoked ice, black walnut bitters, burnt lemon oil, and absinthe mist offers an elevated bar experience that one wouldn’t soon forget. 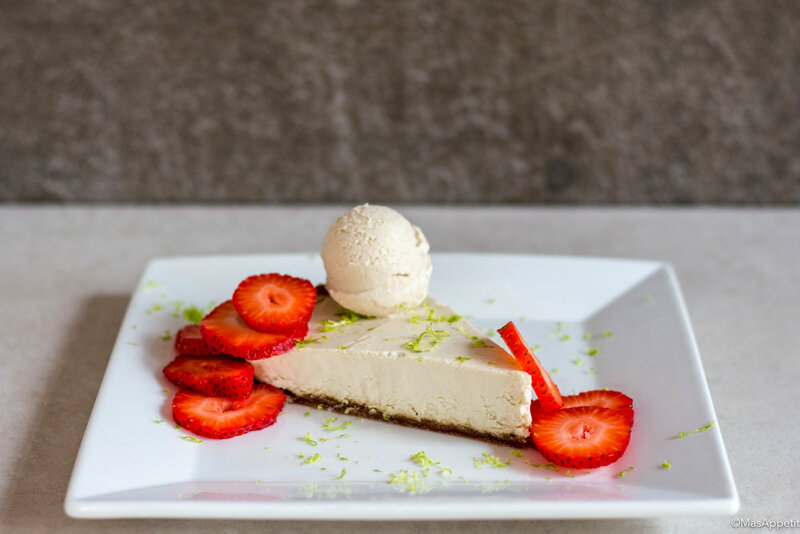 Their menu which boasts “Progressive American” cuisine, a phrase coined by Executive Chef Tim Farley could be amply described as elevated gastropub fare. Dishes like their Grilled Oysters finished with maitre d’ butter and pecorino Romano, decadent Devil’s Eggs with truffle infused yolk and caviar, and the Korean Food Truck Tacos with succulent pork belly and kimchi relish are a good warmup. Lighter options include their Watermelon & French Feta, and Beet & Burrata salads are deliciously bright and refreshing. As for the main courses, crowd favorites include the Fish & Chips which features Atlantic cod with a crust made with salt & vinegar kettle chip crust, the Alchemist Burger topped with a healthy slab of pork belly, and their crown jewel the Ribeye Tomahawk! A 44 oz. USDA Prime, dry aged Ribeye chop served with roasted bone marrow, pearl onion & sweet potato hash, which you can dress up with Bourgogne foie gras or jumbo lump crab Oscar if you feel like getting fancy. So if you're looking for a great bar atmosphere, coupled with delicious food, this place is definitely worth checking out. Burgers and beer go together like peas and carrots. Actually who am I kidding?! We all know they go together much better than that. 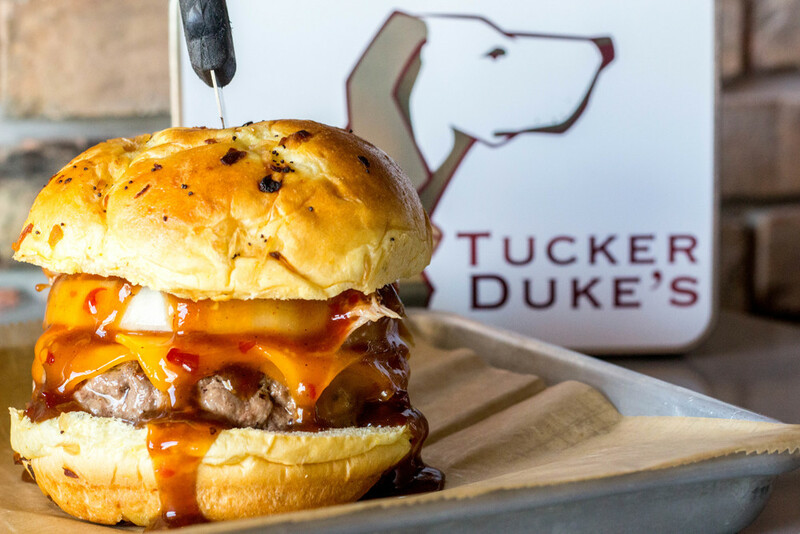 Tucker Duke’s, which happens to be the name of head chef Brian Cartenuto's dog, is a Southern-style burger joint that serves up burgers of the 4-D variety, craft beers, and a host of other offerings that pack a deliciously devastating punch in the flavor department. As with anywhere that serves great food, it all starts with sourcing the best ingredients. Tucker Duke’s motto is “local, seasonal, and sustainable” and their menu is a testament that. 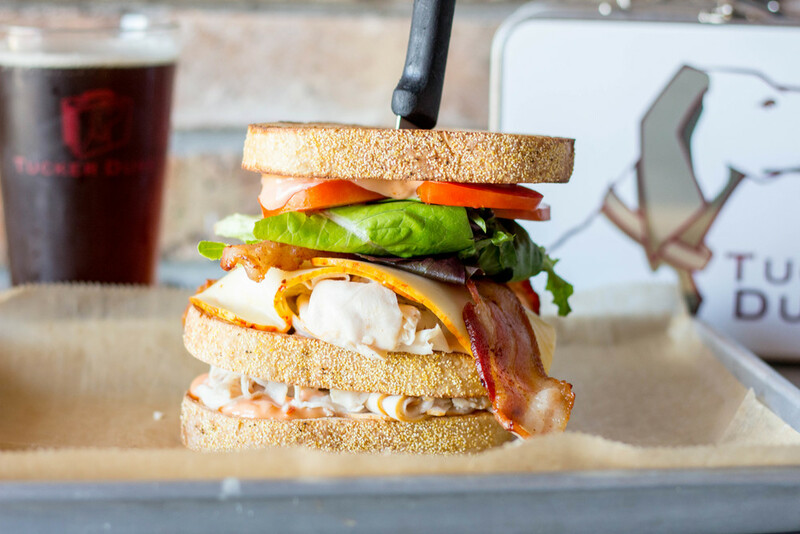 Their James Beard Burger (premium cut blend, pimento cheese, caramelized onion, and hoisin glazed bacon) earned the People’s Choice Award for Best Boca Burger. And let’s not forget their flagship burger, The Tucker Duke (fried onion rings, American cheese, Tucker Sauce, lettuce, and tomato), which comes as is… no edits allowed. Tucker Duke’s greatness doesn’t stop at their burgers. Dishes like their Inside Out Eggplant, Portabella Fries, and the Nacho Tots are total fan favorites, along with their critically acclaimed Peanut Butter & Jelly Bon Bons which was voted Best Appetizer in South Florida by News Times. So next time the mood strikes for a nice juicy burger and a cold craft beer, or you’re due for a cheat day, wear loose pants and check it out! 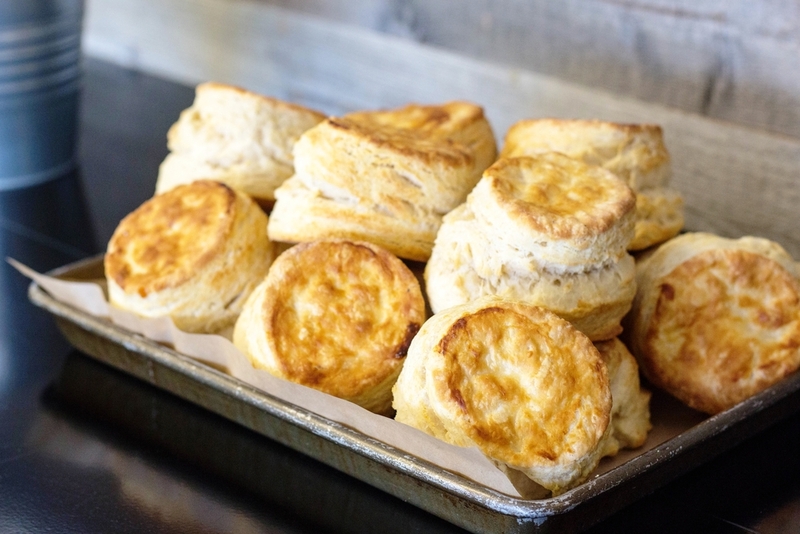 Tucker Duke’s is located at 1658 N Federal Highway in Boca Raton, 1101 South Powerline Road in Deerfield Beach, and at 113 W John Sims Pkwy in Niceville. TGIF vibes featuring Rihanna, Lil Uzi Vert, Kodak Black, Kanye West, The Chainsmokers, Sia, and more. Link to the playlist below! This is an awesome dish to pair with roasted or braised meats. Creamy, cheesy, herbaceous potatoes… you just can’t go wrong. Sauté onions and grated garlic in skillet over medium heat, with a pat of butter and a drizzle of olive oil. Once onions are sweated (7-10 minutes), remove from heat and transfer to a bowl. Preheat the oven to 400°F. Grease ovenproof casserole dish with butter or non-stick spray. Arrange a layer of sliced potatoes over the base, then smattering of the sautéed onions, with a light sprinkling of thyme leaves (no stems), parmesan cheese, and a tiny dash of salt and pepper. Continue this layering pattern until the casserole dish is topped off. Gentlypour the stock over the potatoes. Season the top layer with a little salt and pepper, then scatter the whole sage leaves, and the rest of the parmesan cheese. Disperse little pats of the butter all over the potatoes, then place the dish on the top third of the oven, and cook for 60-90 minutes, until the top is golden crisp and the potatoes are cooked all the way through. Finish with a little black truffle salt if you happen to have some. Wavy!